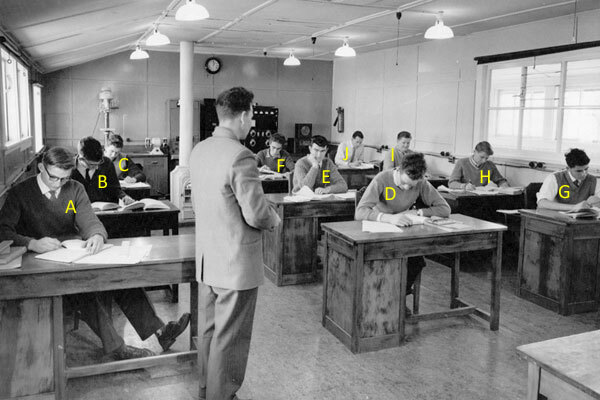 A new school for the Post & Telegraph Department was established in 1949 at Trentham in what is now Upper Hutt City within Wellington Region. Courtesy Dave Brown. Click to enlarge. Courtesy Chris Underwood. Click to enlarge. The instructor in the photos below is Keith Surridge. I knew him quite well but never worked with him. A very clever guy, he helped install the first microwave systems around the country and later was responsible for setting up the TV standards converter at Warkworth Earth Station so that we could watch American-sourced TV. He was a keen player of indoor and lawn bowls. Keith Surridge (centre, standing) with students at the Trentham radio training school in 1961. In the photo above, Keith Surridge is talking with Allan Edginton, who taught me solid state theory years later when I was at the school in Rugby Street. 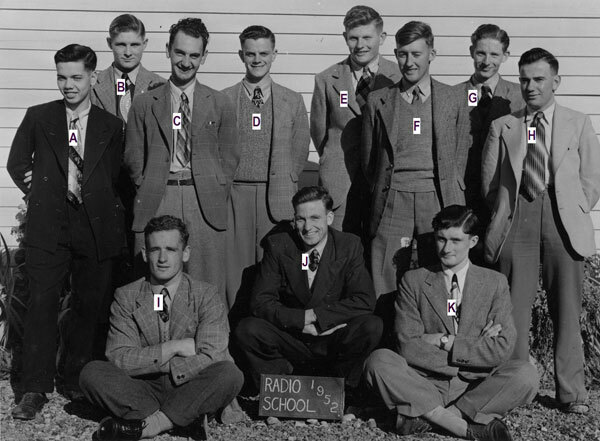 The guy in the bottom right hand corner is Allan Fletcher (I worked with him in the late 1960s and he taught me a lot about Land Mobile Radio). I don’t recognise anyone else, although the guy on the left, second row back, might be Denis Moore. 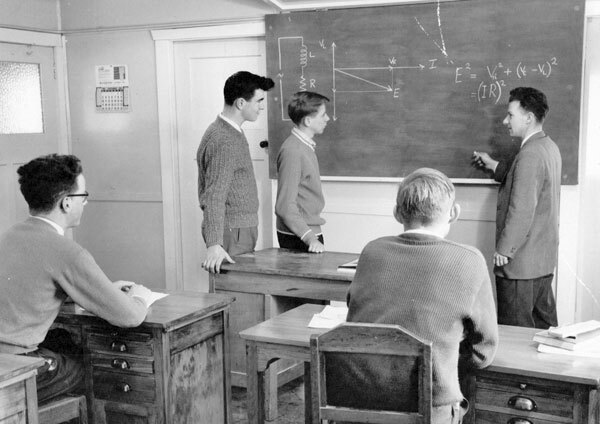 L-R: Trainees KA Blackett (Wellington), AL Edginton (Awarua), DA King (Christchurch) and DJ Wards (New Plymouth) with instructor KO Surridge, 1961. In the photo above, Keith Surridge is showing the application of vectors to alternating current circuits. I worked with Keith Blackett, a clever guy who, sadly, drowned in a yachting accident, on Lake Taupo I believe. 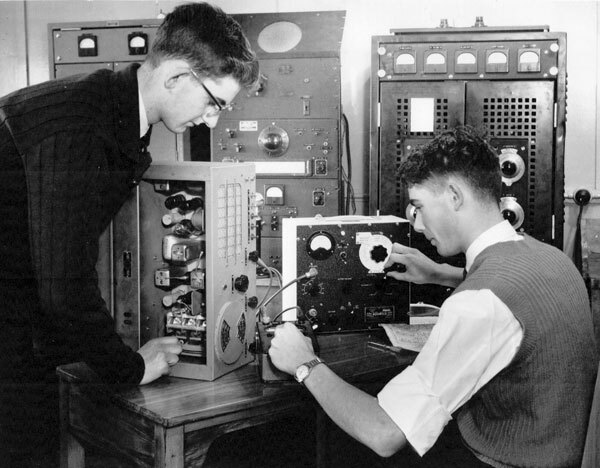 In this 1961 photo, trainees DC Moore (left) and AE Fletcher, both from Wellington, align a communications receiver using a signal generator and a multimeter. In the background is a 100 watt transmitter with its associated equipment, also used for training purposes. I worked with Dennis Moore (pictured above) while still a trainee at the Wellington Radio Depot. 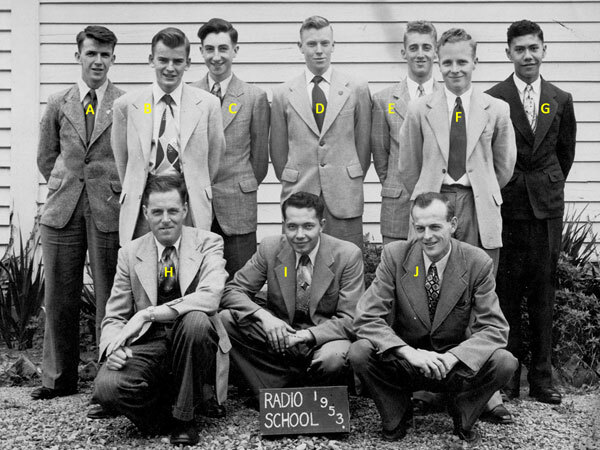 Instructor Peter Munro (standing) with a trainee at the Trentham radio school. I knew Peter Munro and worked in the same section as him for a while. He went on to became the Chief Tech at Invercargill Radio Depot about the time that the technicians working at Awarua Radio came under the control of the Chief Tech at the Radio Depot. 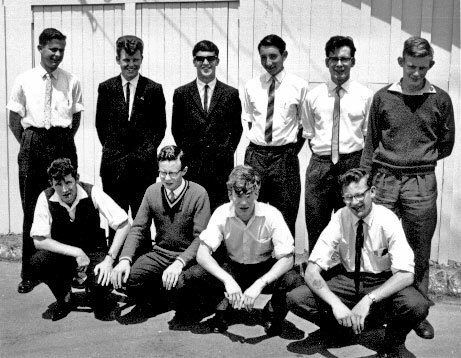 A Trentham radio tech class, c1962. L-R: Glenn Kingston, Joe Crandle, Tom Mazey, Graeme Mai (partly obscured), Alan Dewar, John Carr (suited up instructor), Don Kelly, Dave Burger, Peter Mulhare, Unknown, John Hoskin. Courtesy Glenn Kingston. Click to enlarge. 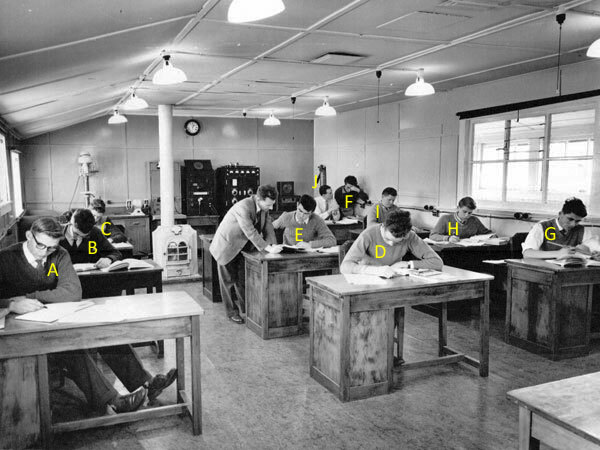 In the early 1960s, the radio technicians school moved again, to Rugby Street in Wellington.